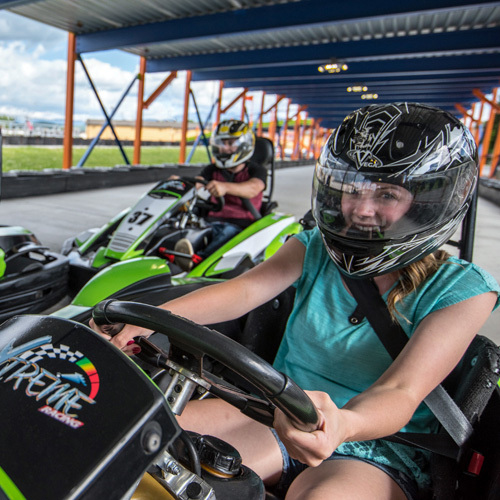 Get your race on only at Xtreme Racing Center in the middle of Pigeon Forge! Experience serious speed in the European Sodi racing karts; the fastest go karts around! The qualification process involves driving the GT5, showing drivability & good lap time. Racing chips in the carts keep track of lap time and is kept in the system to come back again and again to beat your very own lap time! Drivers must be 11 years old and 52" tall to drive the adult karts. Adult and kiddie go karts available. Timed heats last 6 minutes. 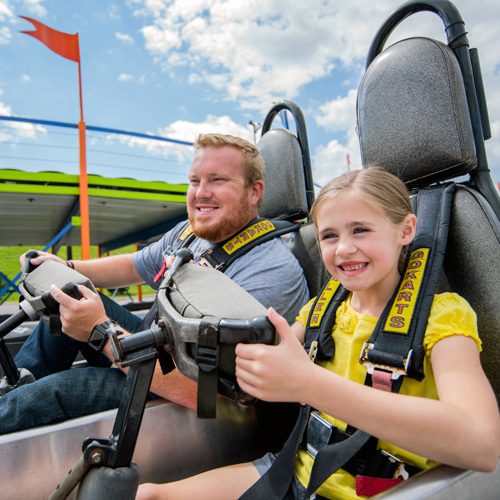 The fastest karts in Pigeon Forge! 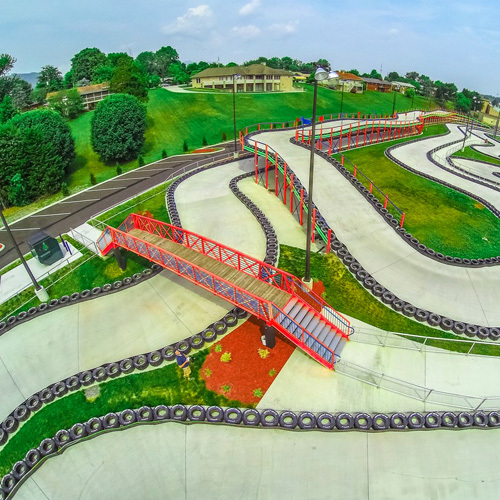 Get your race on only at Xtreme Racing Center in the heart of Pigeon Forge! The qualification process involves driving the GT5 Pro Kart, showing drivability and good lap time. Once you show you are a fast responsible race car driver you can then drive the RT8 Xtreme Kart!!! Racing chips in the karts keep track of lap time and is kept in the system to come back again and again to beat your very own lap time. You can even bring your recorded lap time home with you for bragging rights. Racers must be at least 11 years old and 52 inches tall. Safety requirements allow for our Pit Crew members to have sole discretion in determining all racers’ ability to reach the pedals and steering wheel. Closed-toed shoes are highly recommended to race in our European. Balaclavas (head socks) are required to be worn inside our helmets. They are available at the ticket counter for an additional fee. Helmets are provided at no cost. 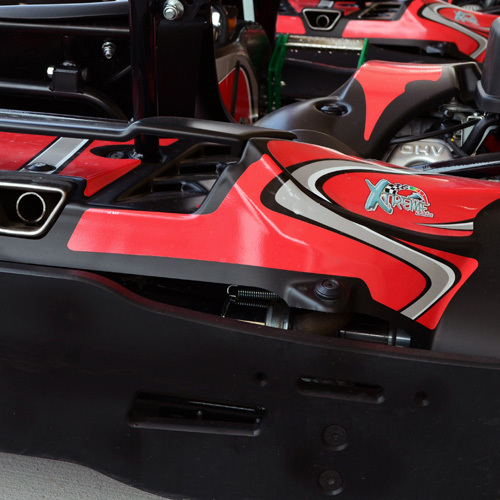 - Traditional karts are available on separate elevated track where guests can ride a double kart. Tickets available at the location. No, we do not operate in inclement weather. Closing is subject to change due to weather, corporate events or the season. Do I need a valid driver’s license to drive high speed karts? No, we do not require you to possess a valid state driver’s license. How do they determine which karts I qualify to race? 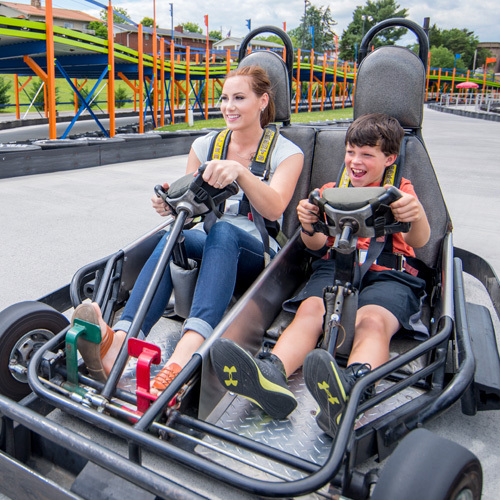 All adults will start with the GT-5 Pro-Kart (20-30mph kart). 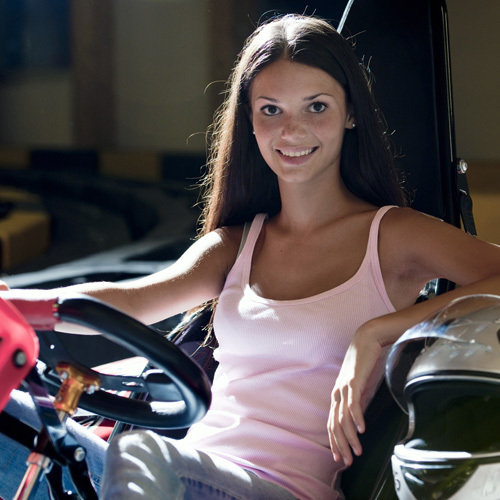 Driver’s must practice respect for the rules and regulations and have intent on improving their lap times before racing on the X-Treme Kart (30-40mph). 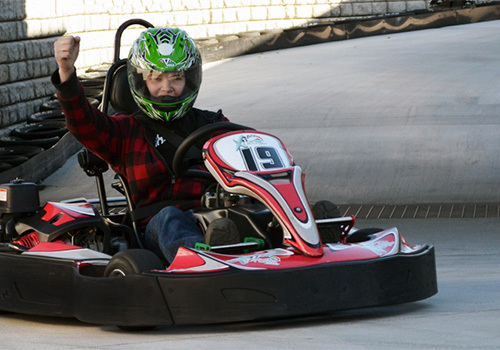 All kids will start with the fun karts (20mph kart) before upgrading to a faster kart. Timed heats last 6 minutes per race. Drivers must be 11 years old and 52" tall to drive the karts (Pro or X-Treme). All racers must be able to safely operate the kart. Traditional karts are available on a separate elevated track where guests can ride a double kart. Participants must be 56" tall to drive the traditional single karts. To drive the double go karts, participates must be at least 16 years old. To ride in a double go kart, participants must be a minimum of 3 years and 36" tall. Tickets for the traditional karts are available at the racing center location. Closed toed shoes are required, other than that, wear something comfortable. Hair should be tied back in a ponytail. Yes, we will provide a helmet. Balaclava’s (head sock) is required to be worn inside our helmets. Xtreme Racing Centers offers several parking spots in front of our building, as well as additional parking in rear. The back parking lot can easily be accessed by following the road to the right of our building.